Versatile Torin ratchet jack is designed to lift objects with low clearance. Safety crank with loading handle. - Lift Capacity (tons): 5, Min. - Lift range: 2.5in. to 11.8in. We are engaged in manufacturing Ratchet Jacks. They are used for lifting, moving, as well as bracing loads of different kinds. With innovative and customer focused approach, we offer Short Lifting (Ratchet Type Screw Jack). We are equipped with advanced in-house manufacturing system with highly developed machinery that ensures faultless products. 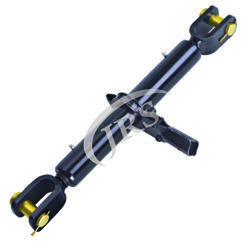 Perfectly produce Ratchet Screw Jack is an important part of our Ratchet Screw Jack. This Ratchet Screw Jack is tested at numerous stages that make sure of its quality and smooth functioning. Also, our Ratchet Screw Jack is sturdy in construction and has high strength and capacity that is 10 tons to 100 tons. Model 85A is used to lift a CNC machine for installation. 4.5 tonne lifting capacity low toe height and light weight make the models 84A. 85A. & 86A universal tools. 9.1 tonne models are used extensively by structural movers. riggers & maintenance crews.